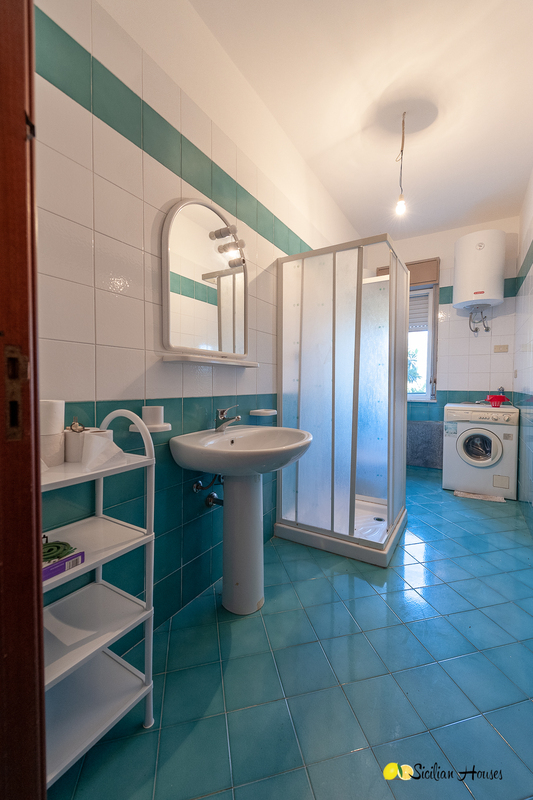 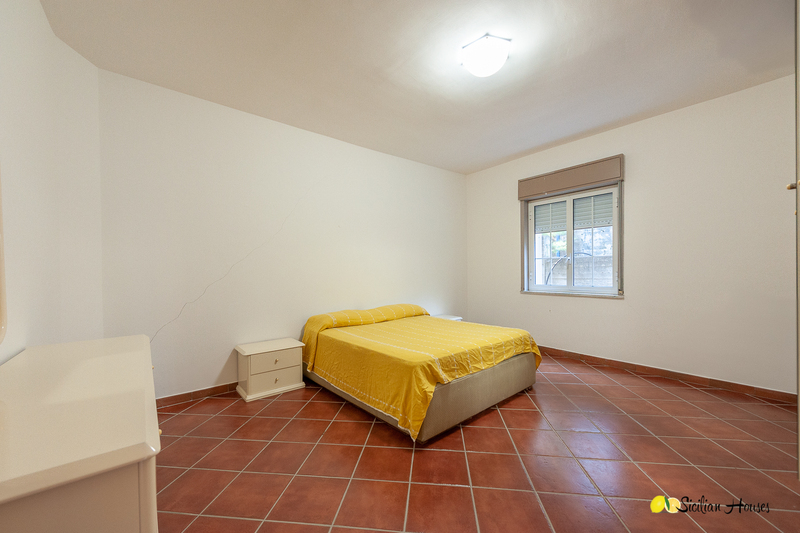 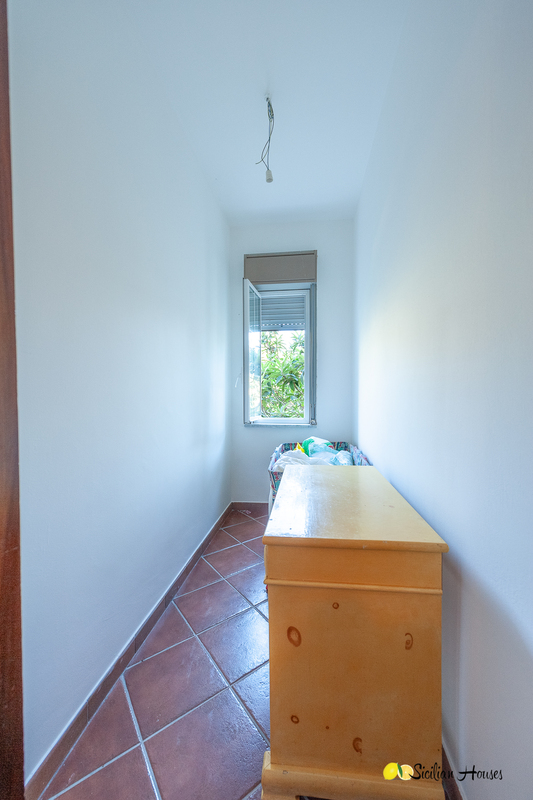 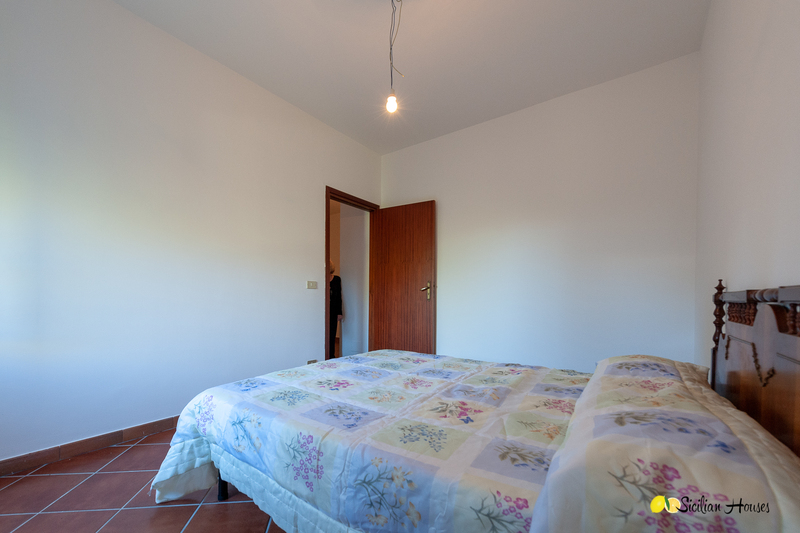 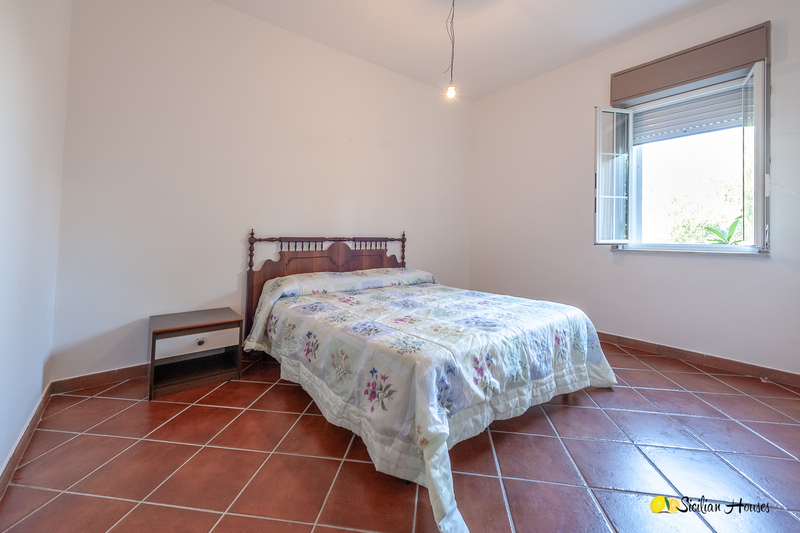 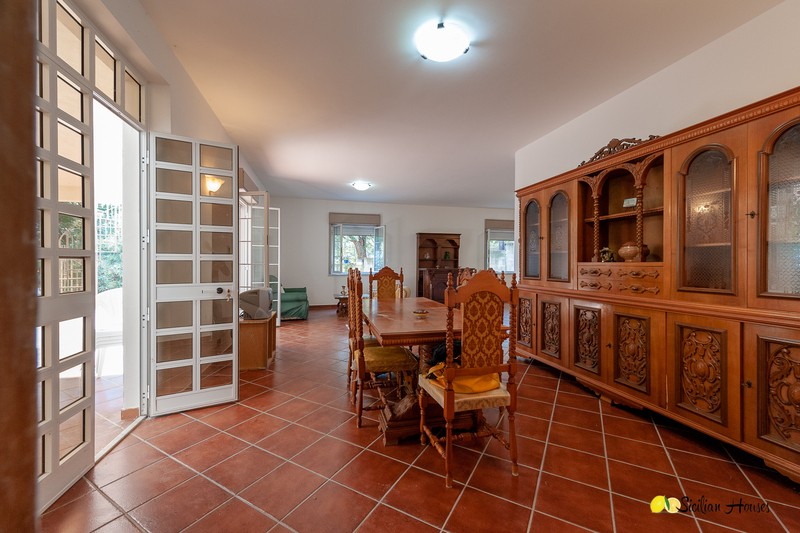 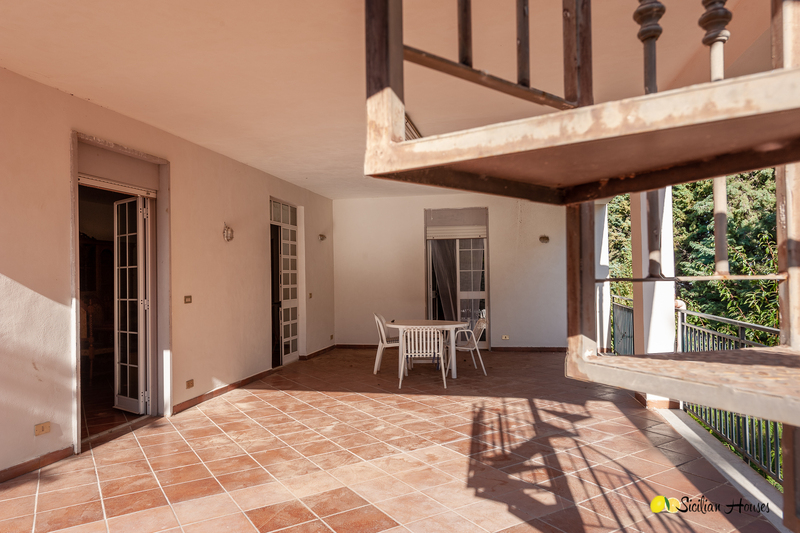 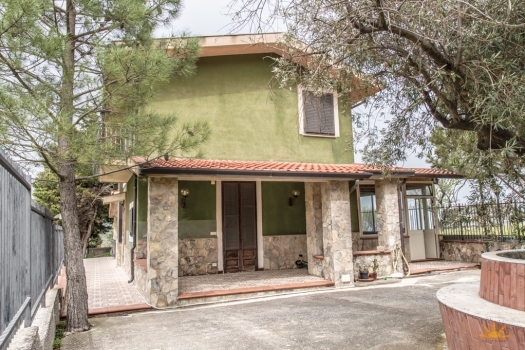 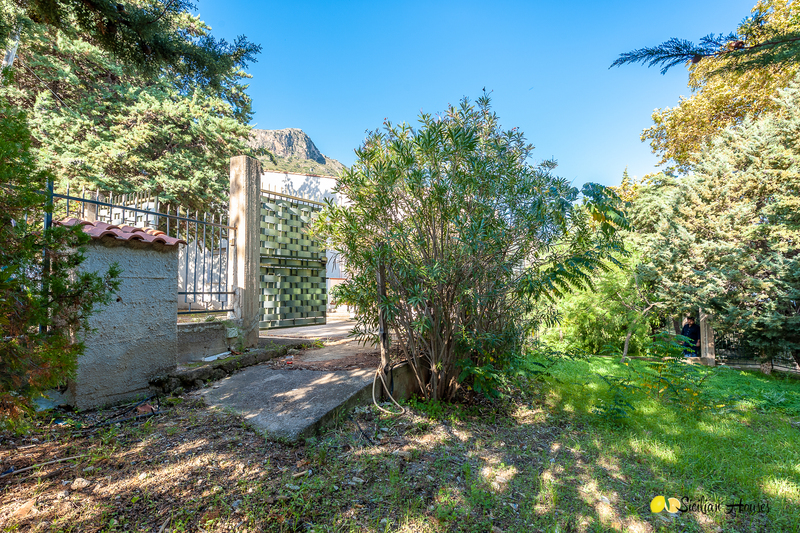 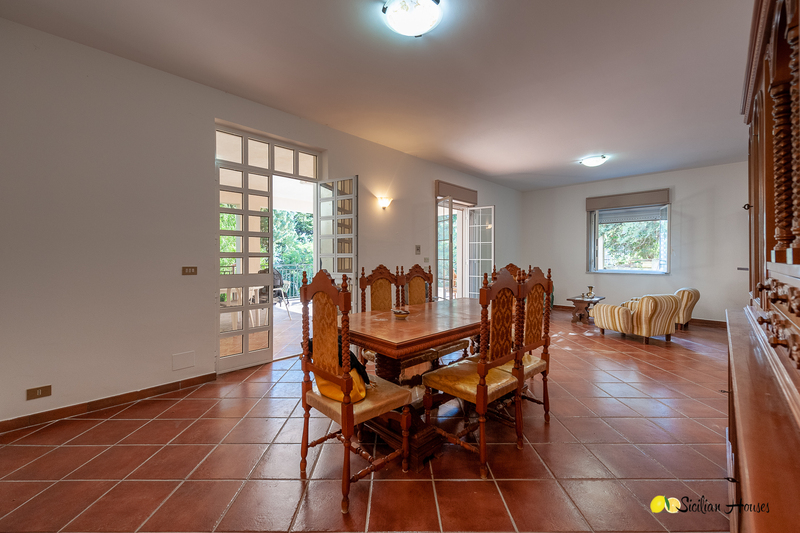 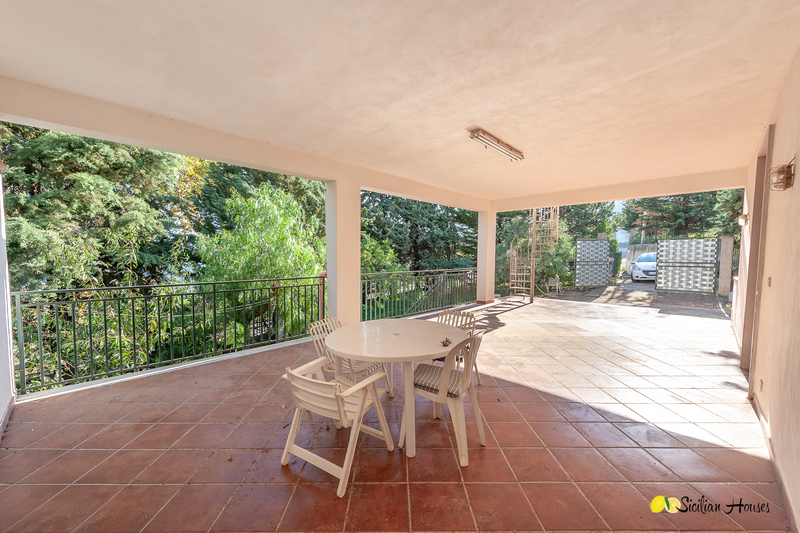 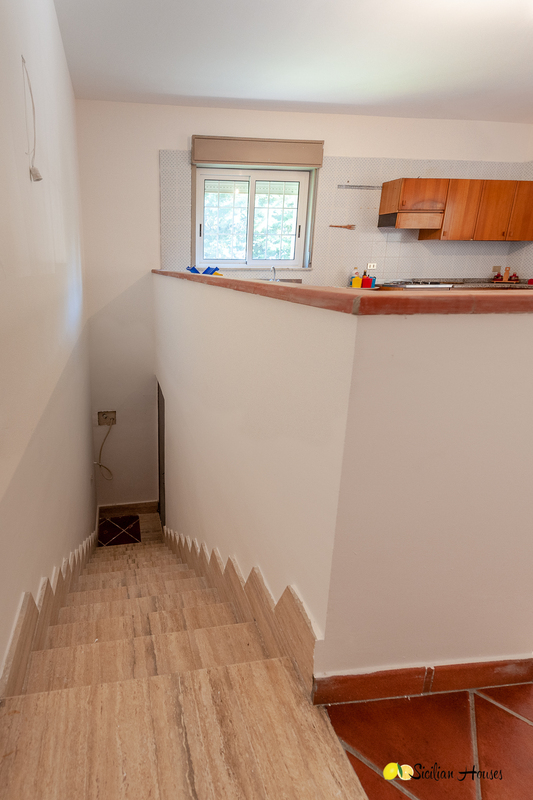 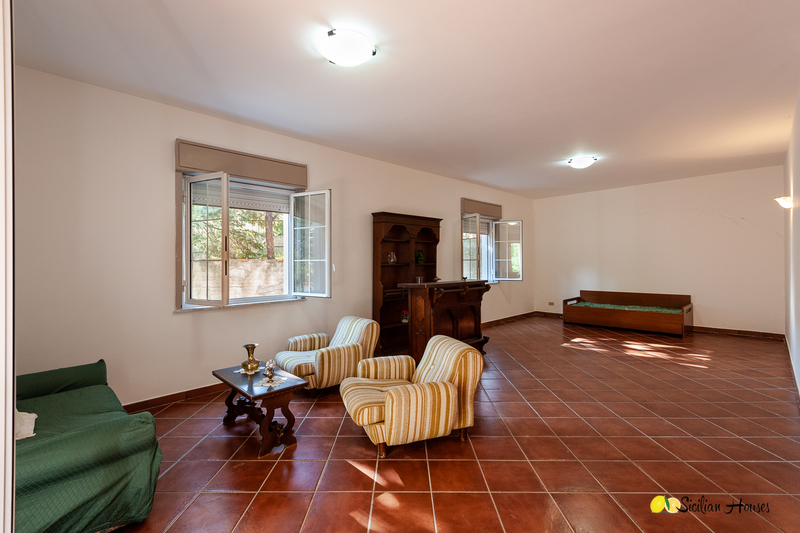 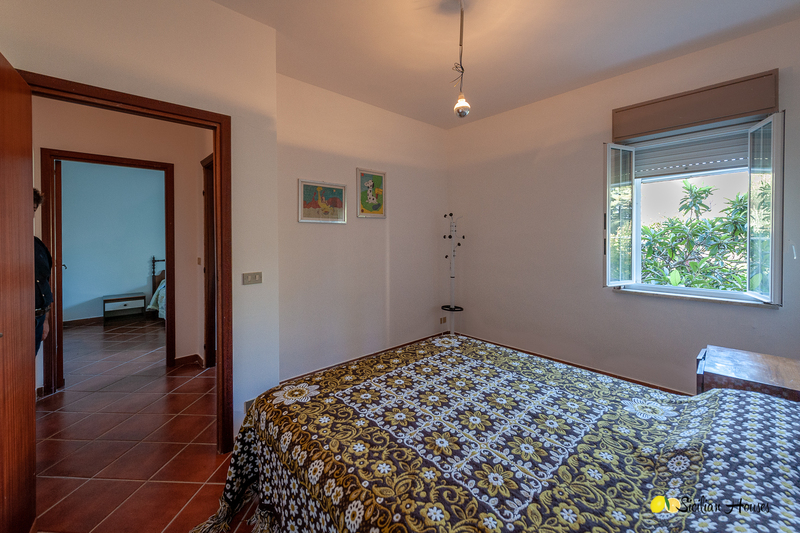 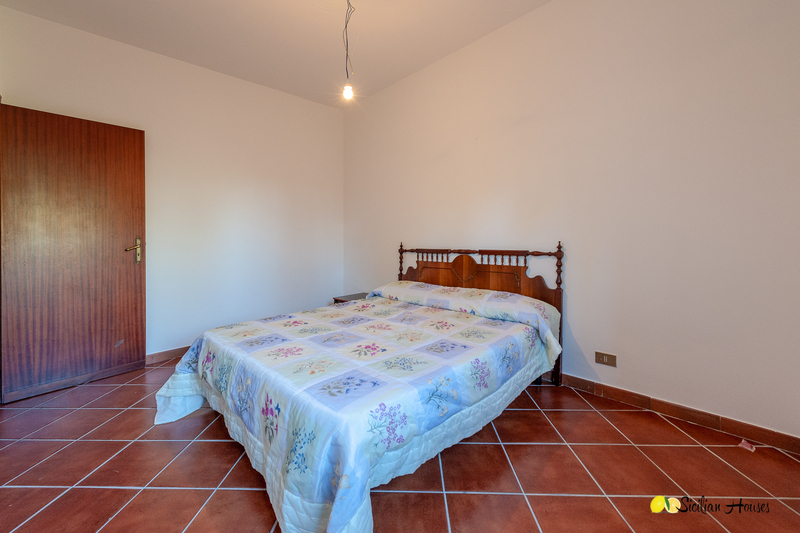 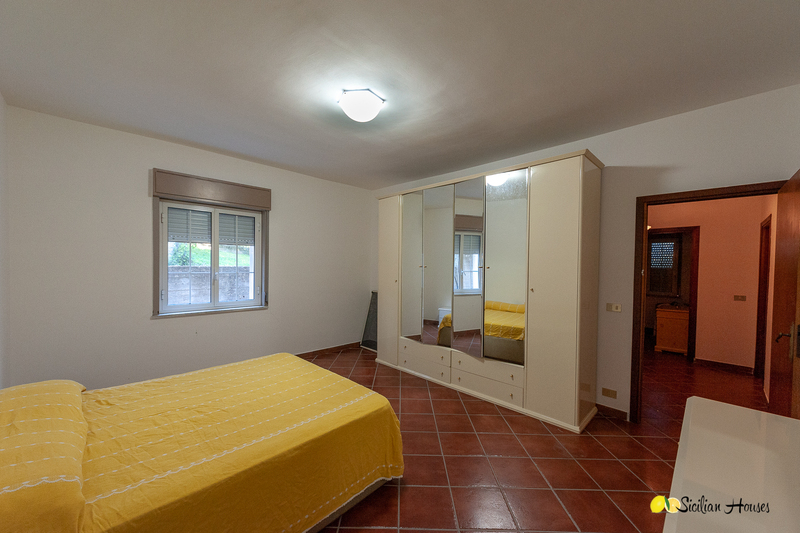 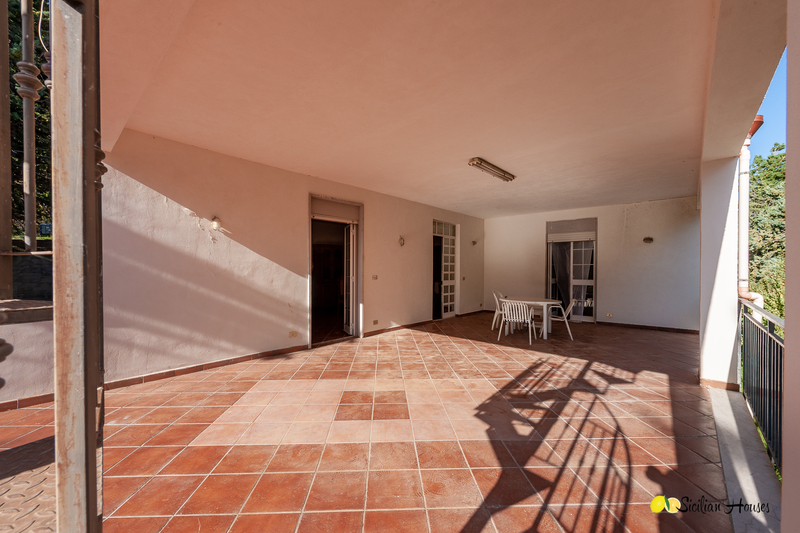 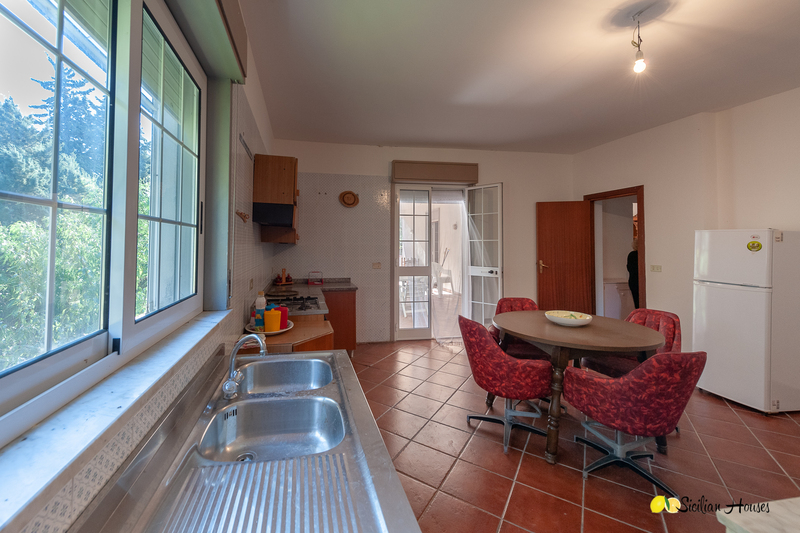 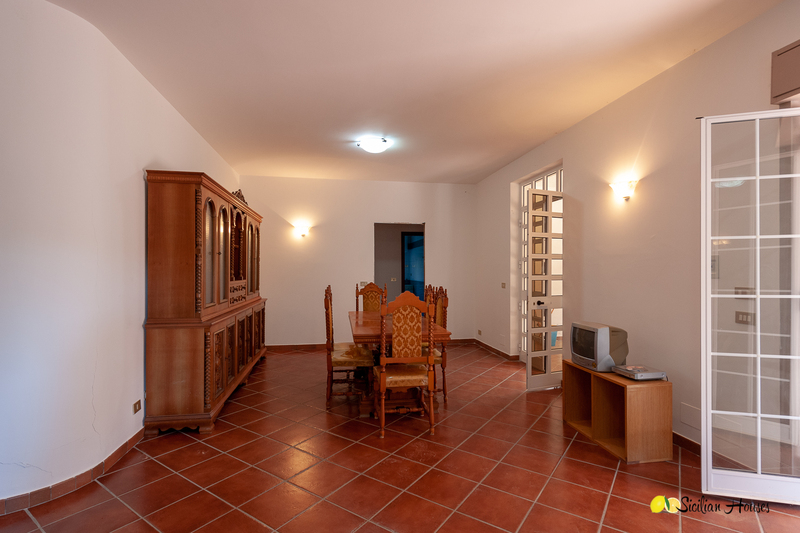 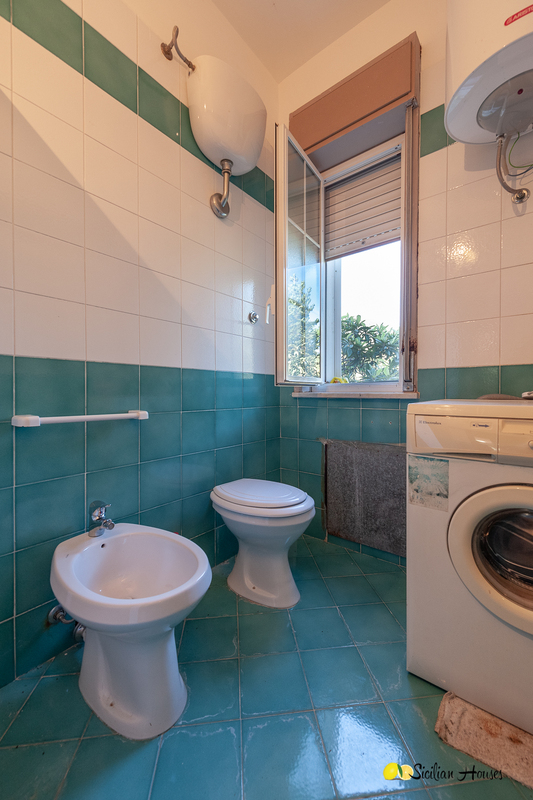 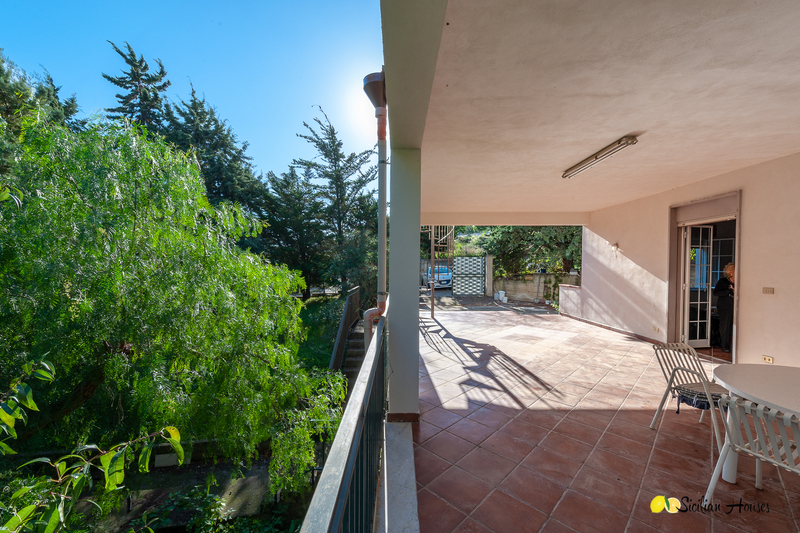 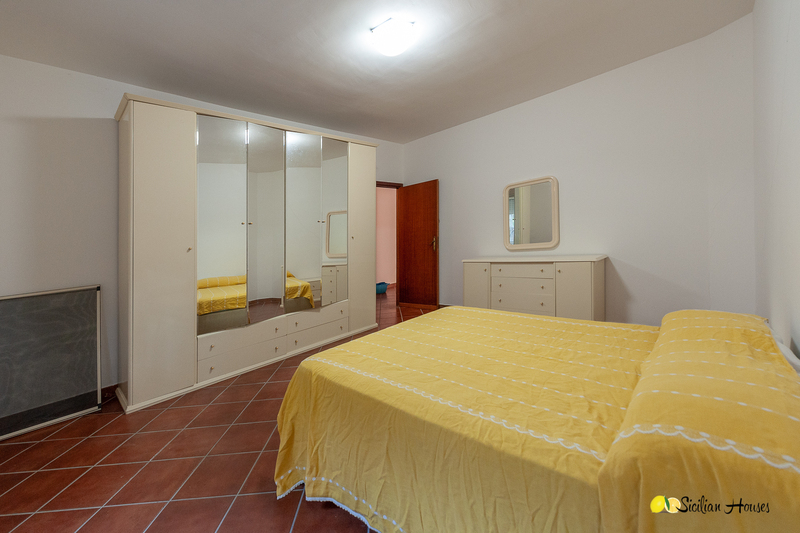 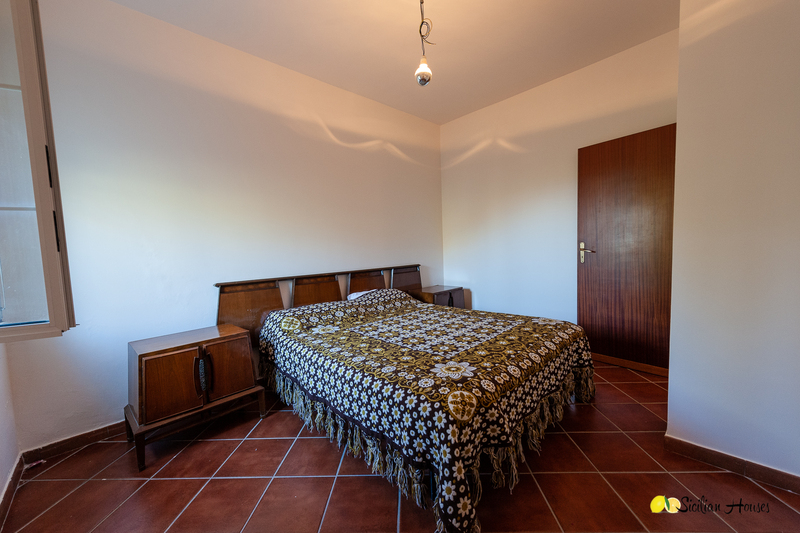 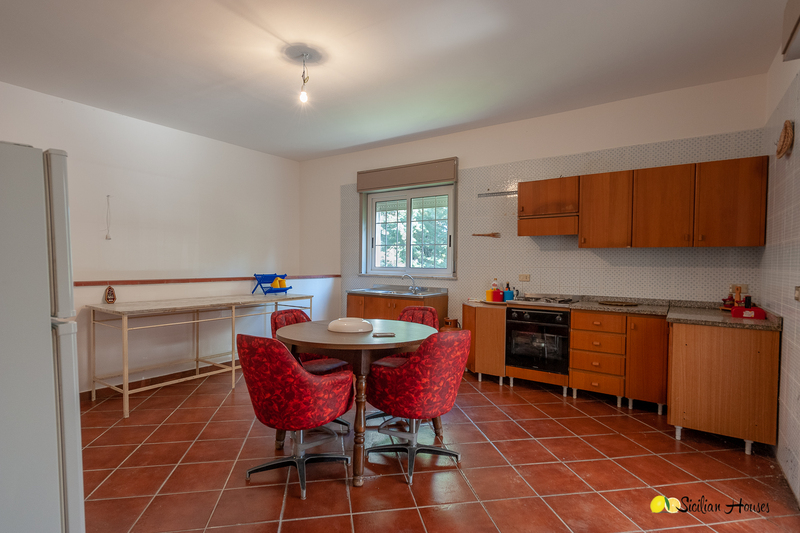 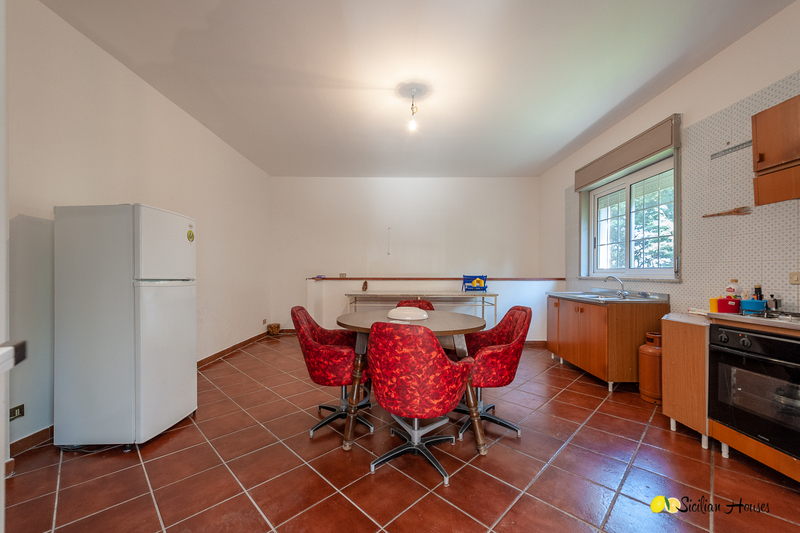 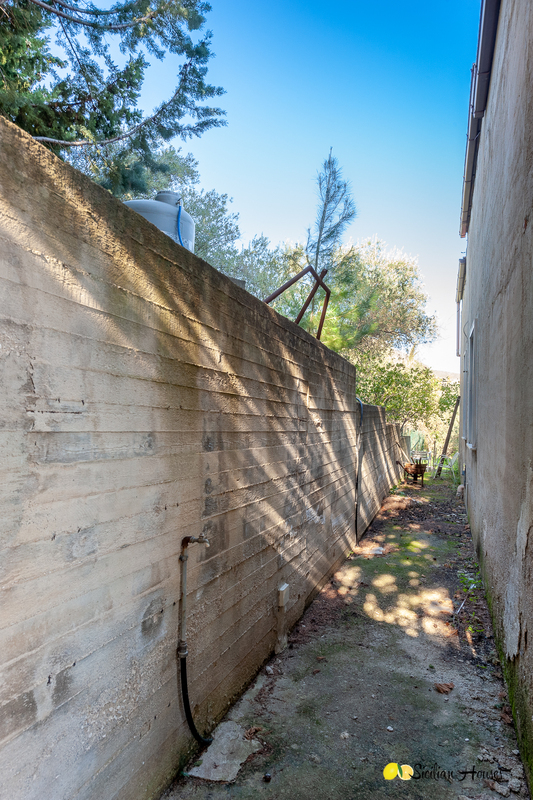 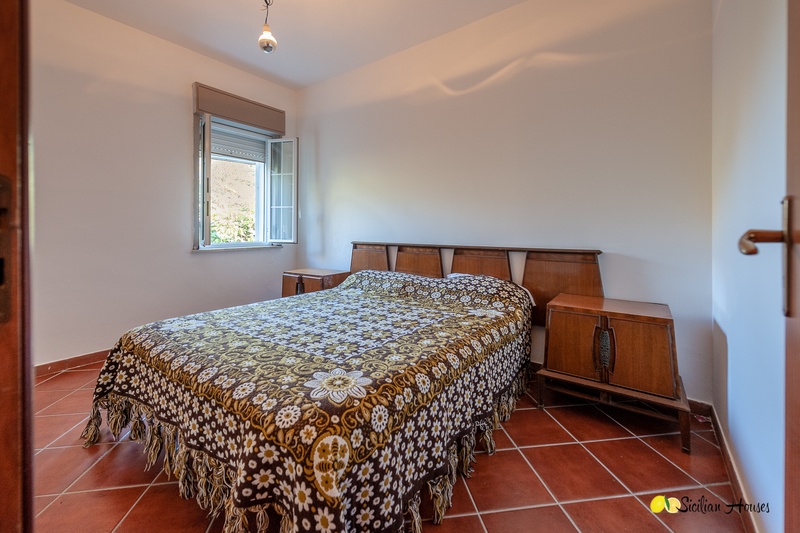 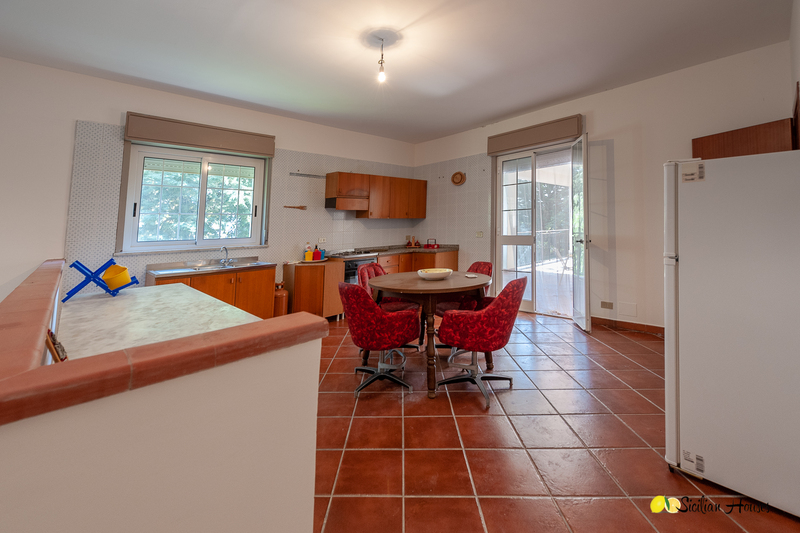 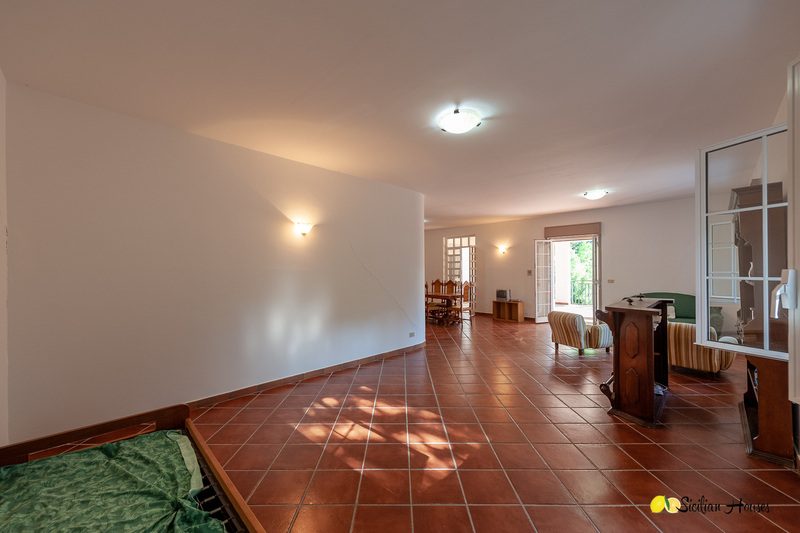 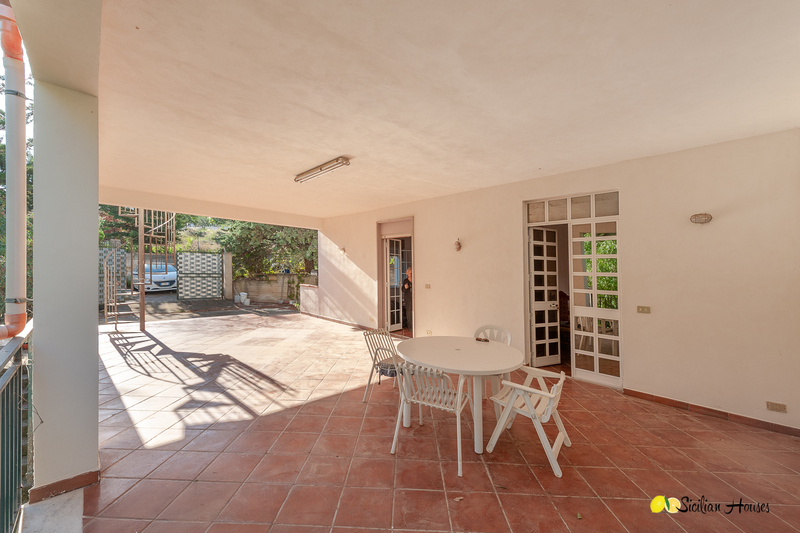 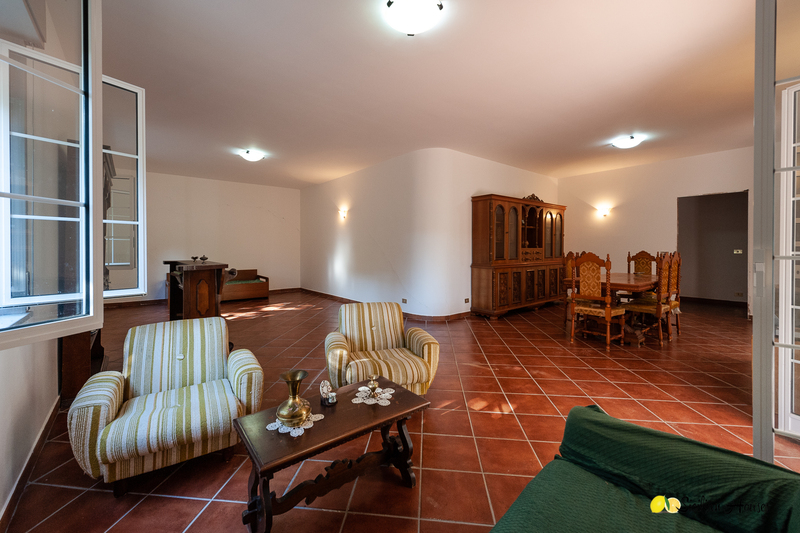 This villa is located in a residential area in Sant'Onofrio, Trabia. 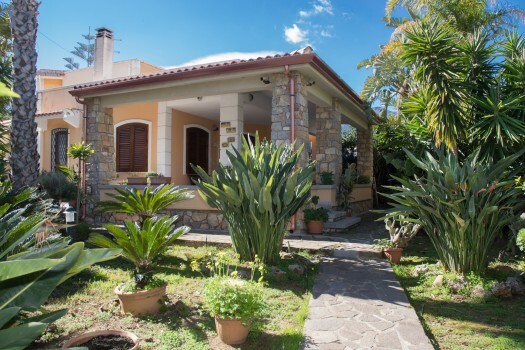 Sandy beaches and the cute coastal town of San'Nicola l'Arena is found just a few kilometers away. 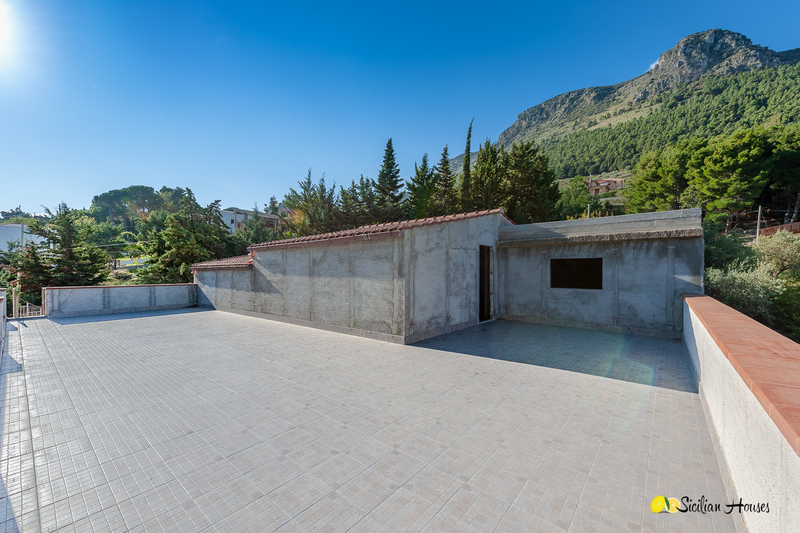 Today, the first floor (120 sqm) is finished and has a large living room, kitchen, three bedrooms, and two bathrooms. 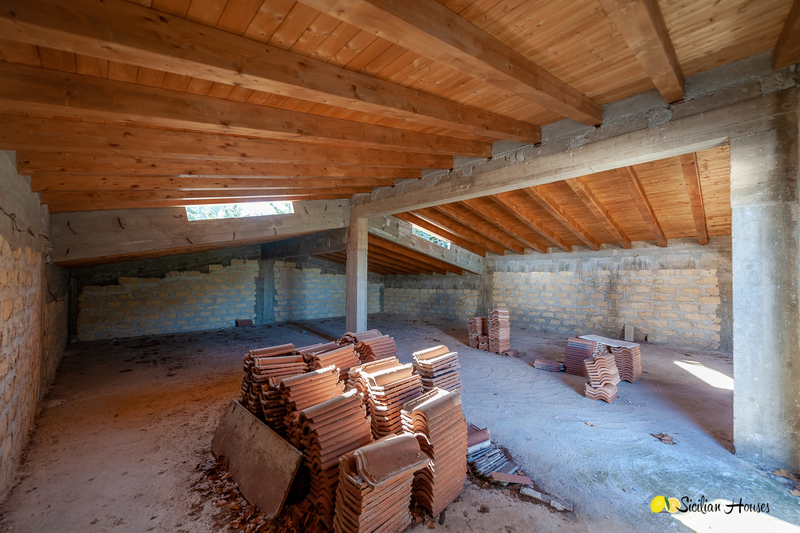 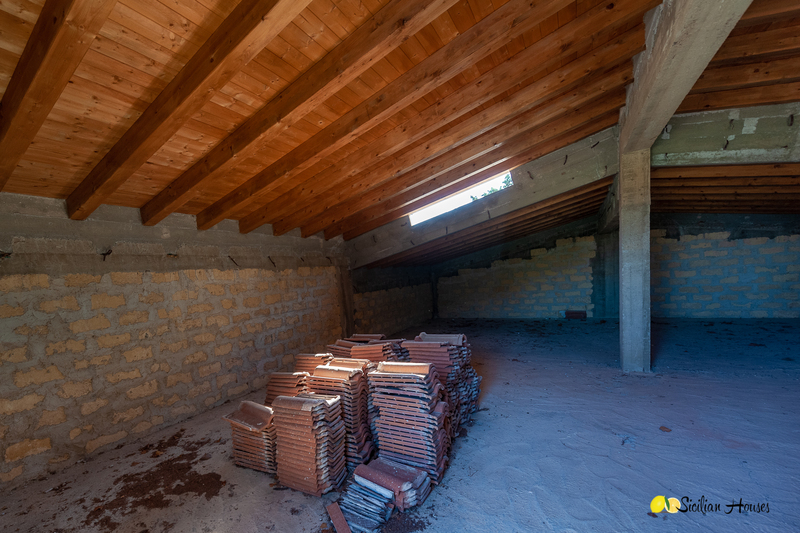 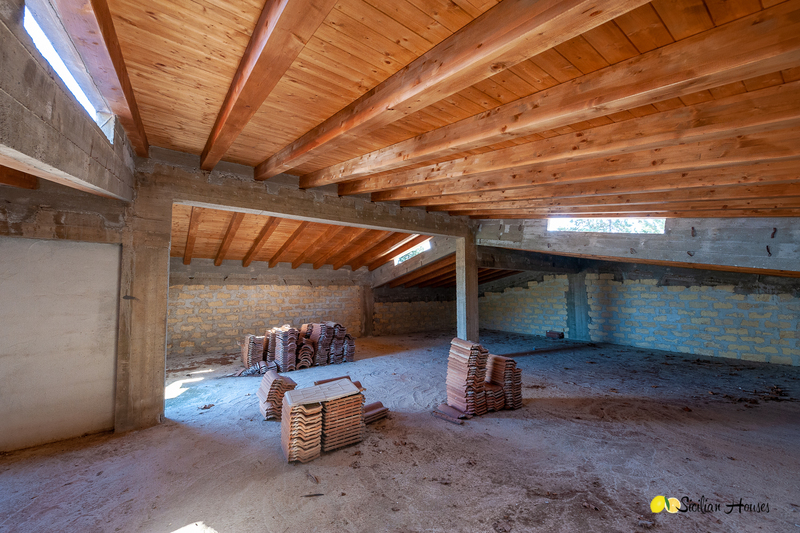 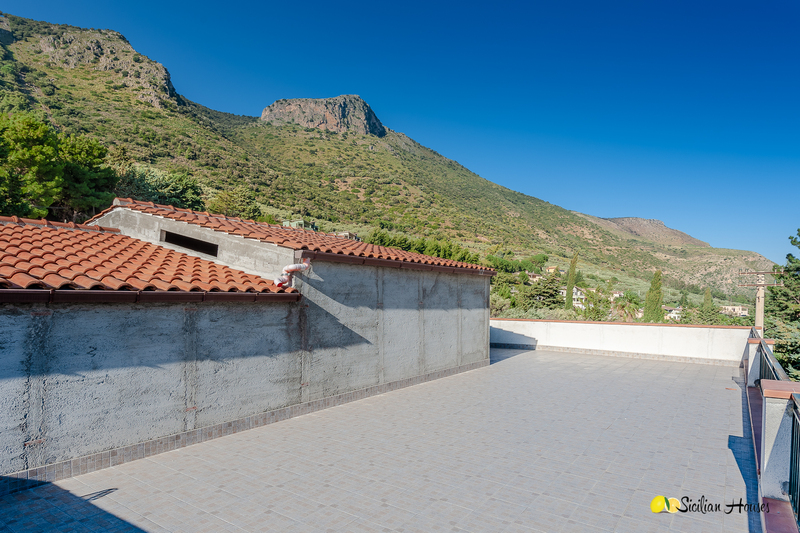 In addition, there is a basement floor and the first floor to finish, 120 sqm respectively. 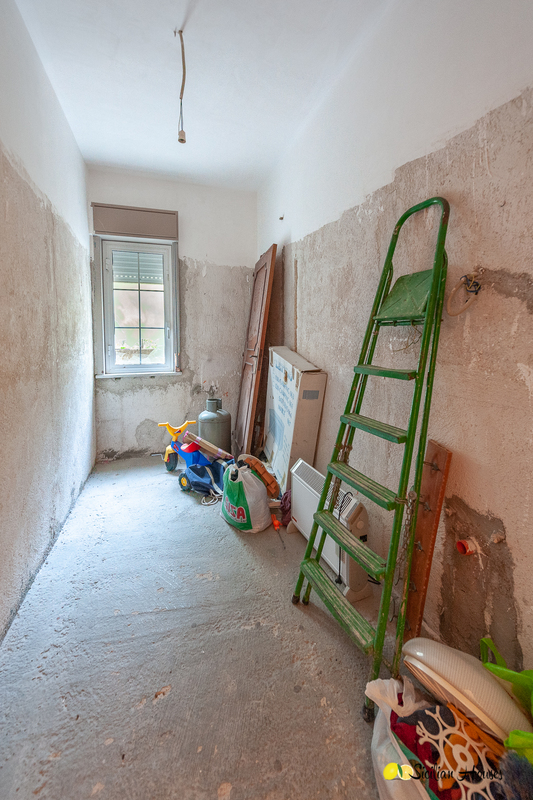 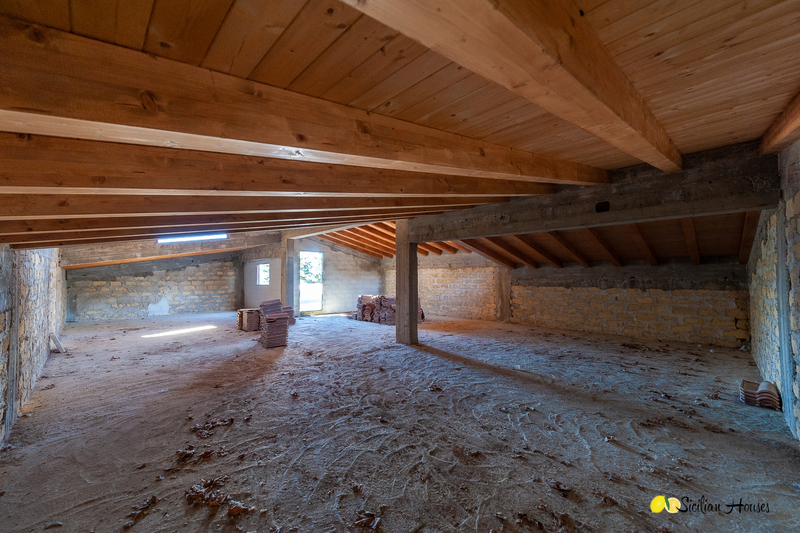 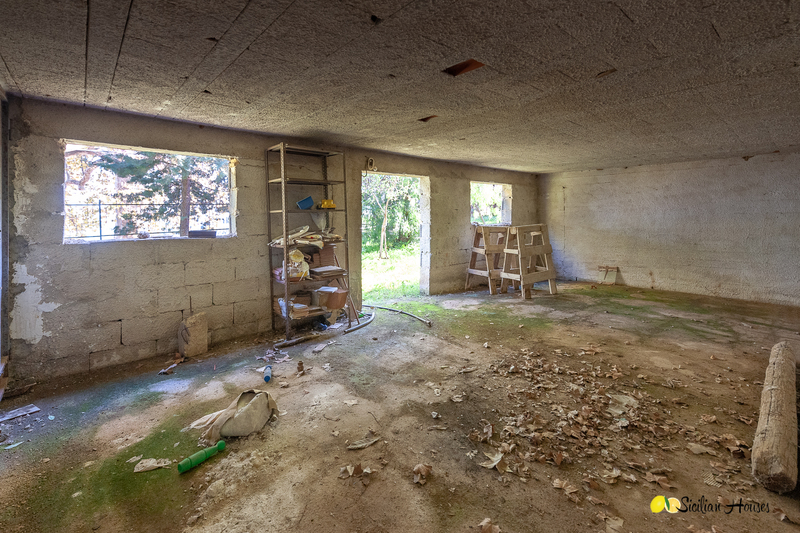 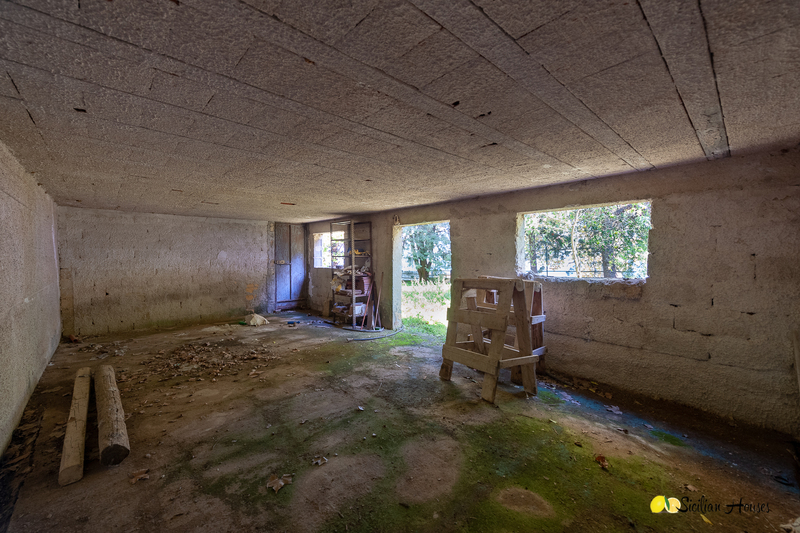 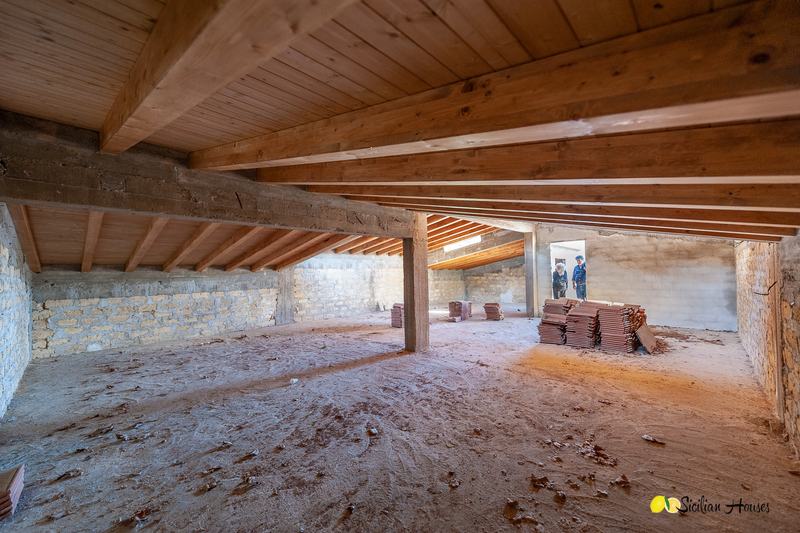 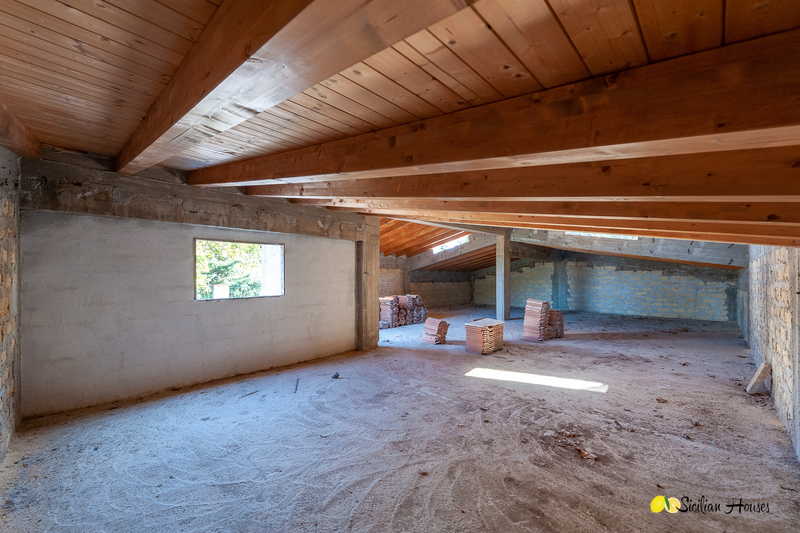 The additional living space can be connected to the finished floor or can be made separate apartments. 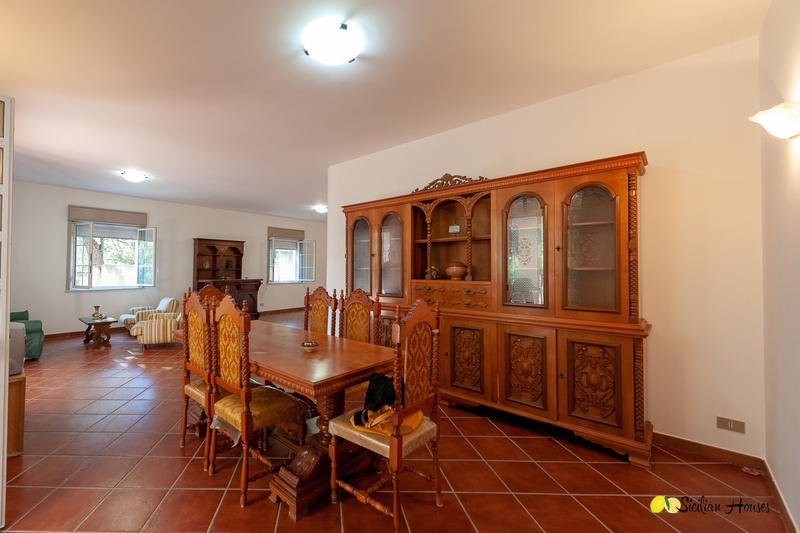 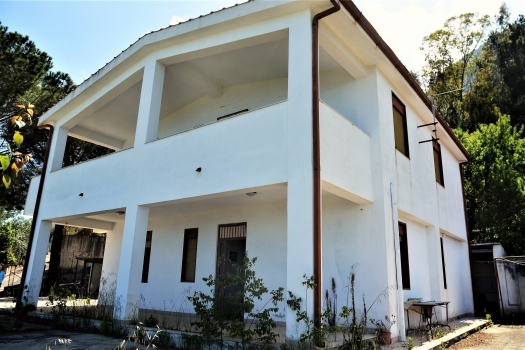 This property is ideal for family sharing or rental units. 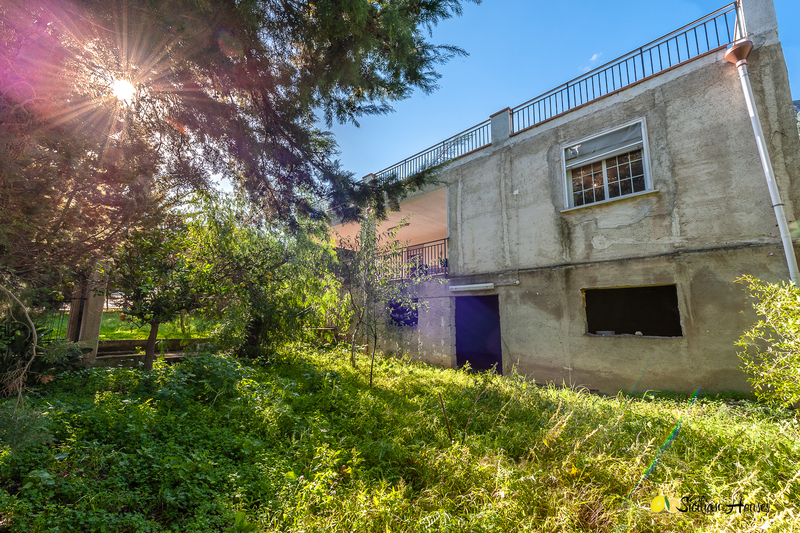 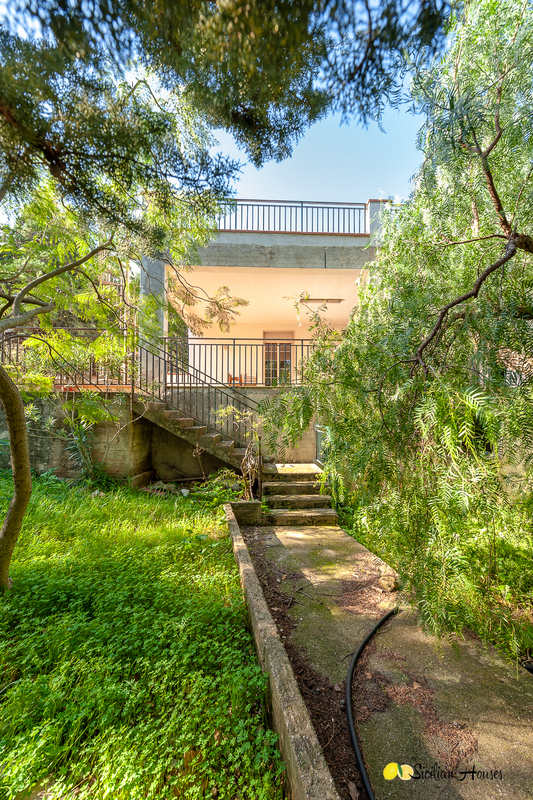 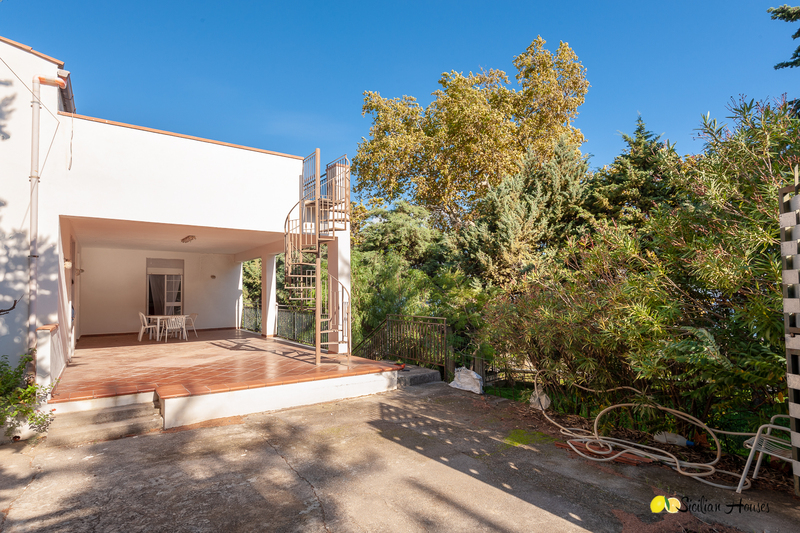 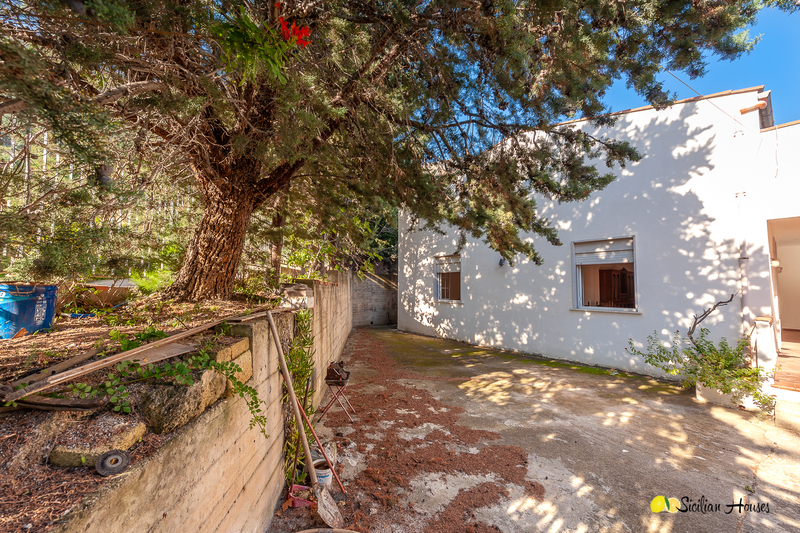 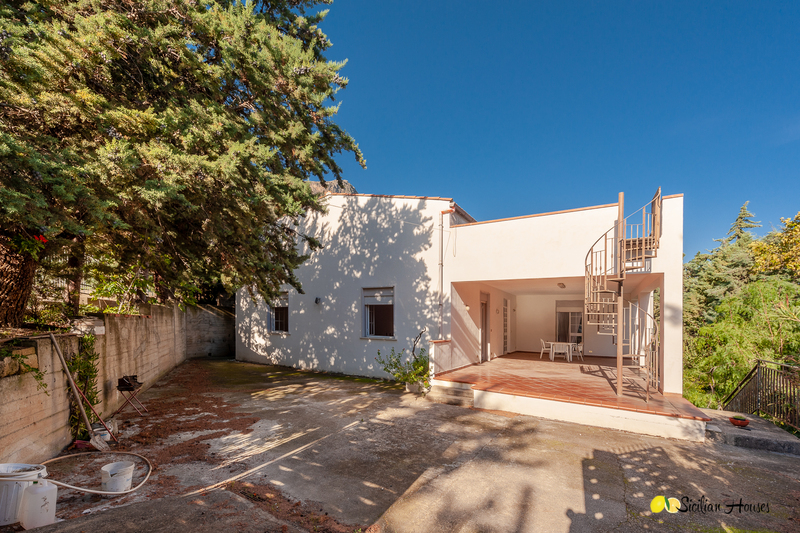 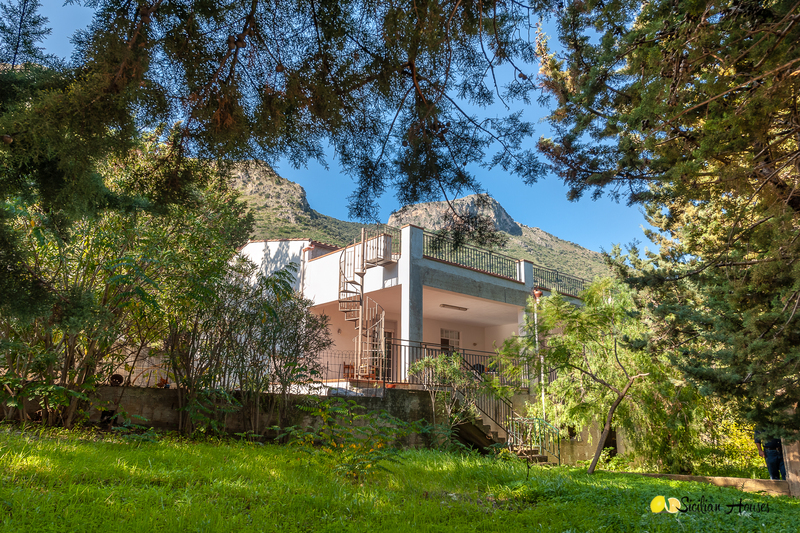 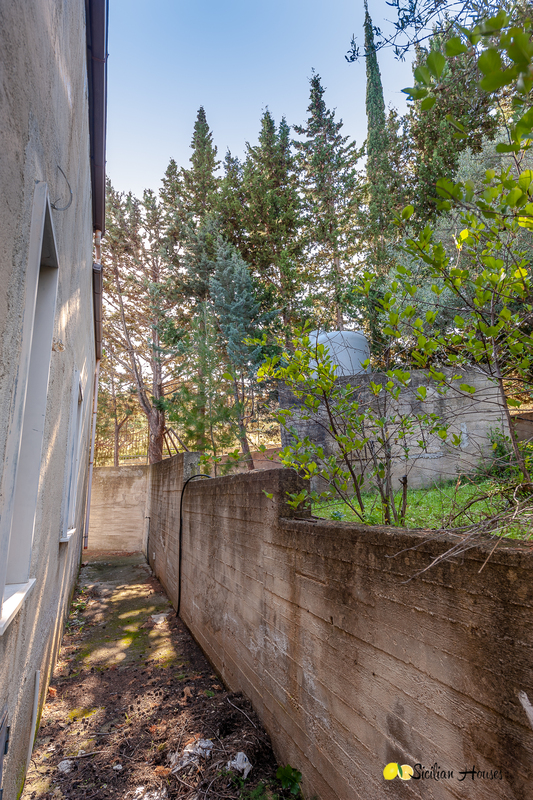 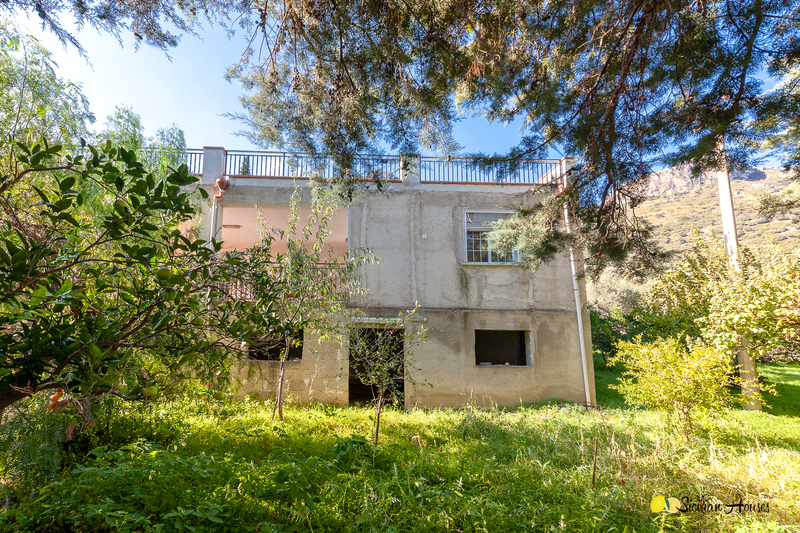 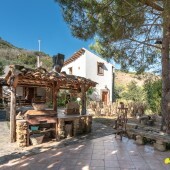 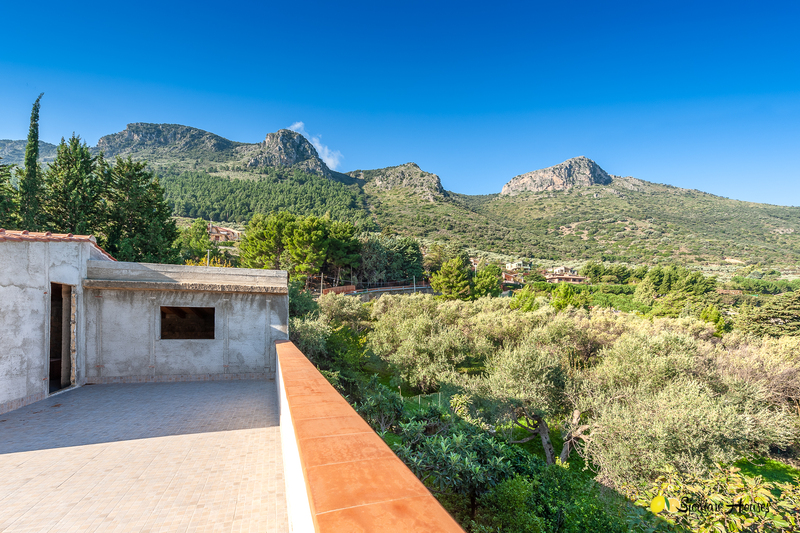 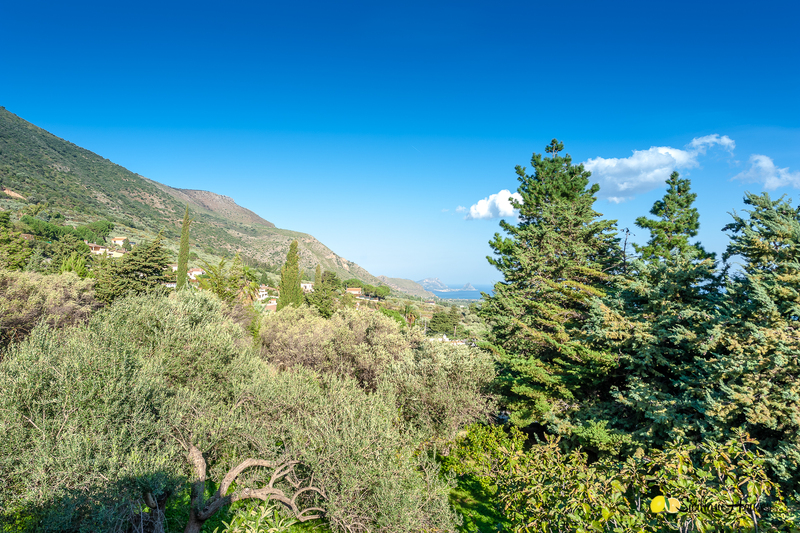 On the top is a roof terrace offering a glimpse of the sea (which could be made wider, taking down some of the trees in front of the house) and lush views of the surrounding area. 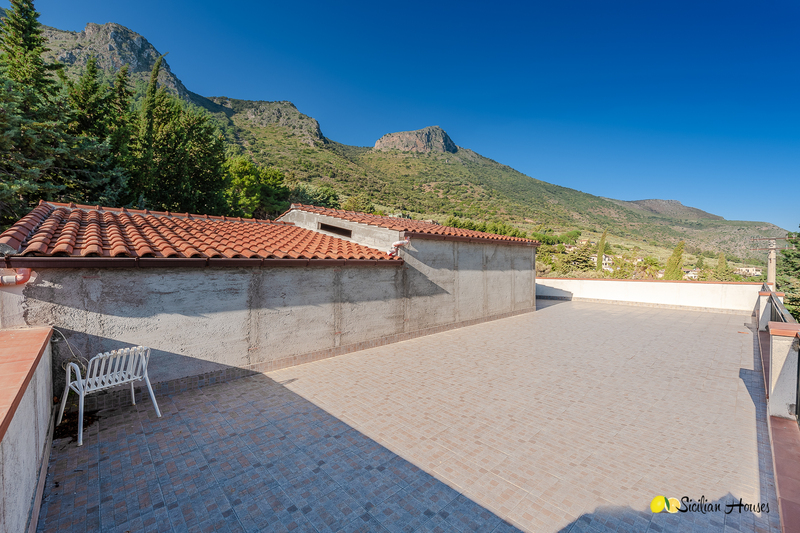 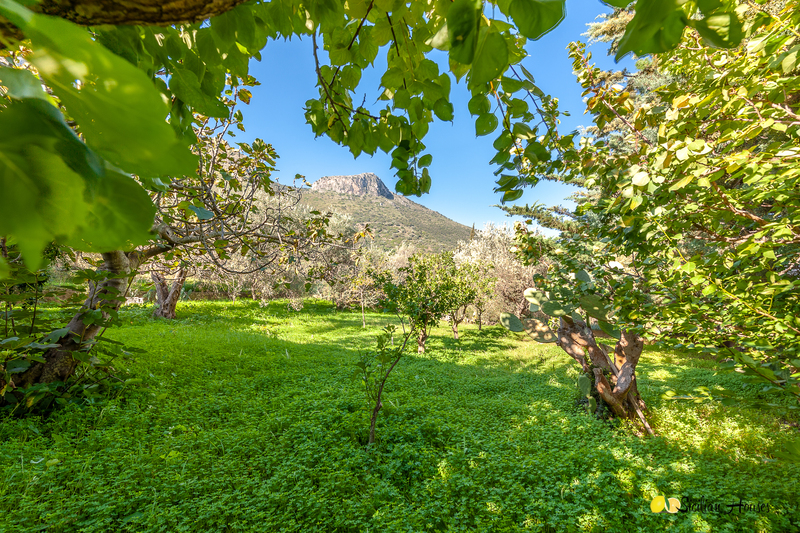 The garden is 1,260 sqm and here is possible to make a pool. 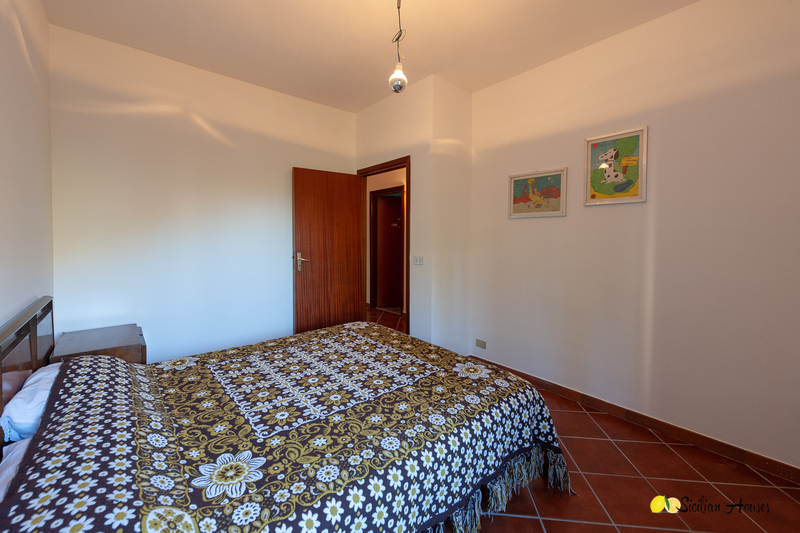 Palermo is reached within 30 minutes and the airport is less than an hour away.